Remarks against anti-Semitism a step against delegitimization, ADL says. But can it counteract Vatican-PA relations? The ADL called the Vatican’s recent recognition of a Palestinian state as a “difference between friends,” and applauded the Pope’s desire to promote Israeli-Palestinian peace. 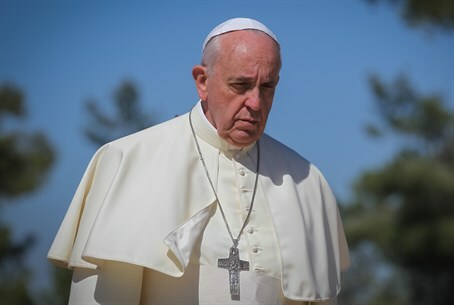 As leader of the Catholic world, the Pope's stance on the Arab-Israeli conflict is closely scrutinized, and has led to several high-profile controversies. Most recently, last week Pope Francis declared he would recognize "Palestine," sparking an uproar - just days after he declared that the Vatican would canonize "Palestinian saints." In May 2014, he called the Palestinian Authority (PA) the "state of Palestine," and made an unexpected stop at the security barrier between Jerusalem and Bethlehem in Judea to pray at a section with "Pope we need to see someone to speak about justice. Bethlehem look (sic) like Warsaw ghetto. Free Palestine" spray-painted on it.